The latest volume of the ever fine Australian comics anthology Tango was released last week. This one is on the theme of "Love and Food" and includes a one pager by me. The roundup of Australian comic artists in the book is truly remarkable, with so many familiar - but unexpected names - along with some diverting new storytellers. It well reflects where Australian independent comics are now. Mine is a wordless, short and sweet piece. The execution of the concept is probably a bit influenced by the bird and animal cartoons of the great English cartoonist (and designer of R&L cereal toys), Harry Hargreaves, though the content is rather different. Someday I'd like to do a proper write-up of Hargreaves, an amazing artist. My favourite version of The Wind in the Willows is illustrated by him. And so this is Christmas. I haven't done a lot - the Tango piece being my only new comics work in 2008. It hasn't been a great year all in all, but I know I'm not alone in thinking this :). This collection of covers ranges back in time a fair way, as I've been working on it for a while and didn't want to exclude ones from a year or two ago. I'm including the cover of this acid folk compilation from 2006 as it's a particular favourite - there's something about the swapcardish artwork that really appeals to me and perfectly captures the nature of the material (and it doesn't hurt that there's a missing Duncan Browne track on there as well). As an iconic image horses are particularly effective - whether real, abstract or carousel - and a number of artists have also harnessed them as visual support for cover portraits. There's also something about horses and fire! 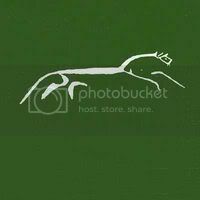 Here's an old one to demonstrate what this concept is about - I've never seen a better and simpler use of this icon than on XTC's "English Settlement," where it is both striking and utterly relevant to the underlying concept of the work. 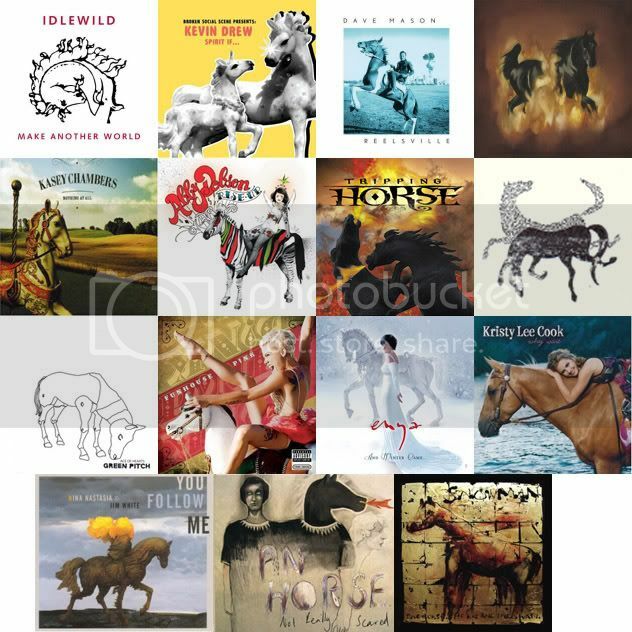 There are some earlier horse album covers in other "Animal album covers" posts. Below the current crop are basic comments about the artists and the albums. Click on image for closer view. Enya - And Winter Came - and Enya is always Enya!